From oceanfront condos to residential sales! 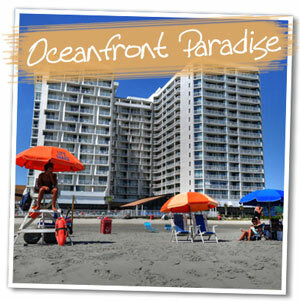 There are plenty of investment opportunities in the area, especially with the number of Myrtle Beach condos for sale. With 60 miles of golden sand beaches and tons of shopping and activities, it's no wonder Myrtle Beach is growing more every year. The thriving economy can be attributed to the 14.6 million annual visitors, staying at one of the hundreds of oceanfront and ocean view resorts. Some may say the real estate market is down, but the vacation rental industry is as strong as ever. That's why owning and renting out an oceanfront condo can put cash in your pocket year after year. We have an excellent rental management program with excellent commission rates and great housekeeping services. Whether its an oceanfront or ocean view condo, or even a beach house, we can turn your investment into strong, repeat income, year after year. Now is the time to buy! With vacations rentals still going strong, the big money is investing in the vacation industry NOW. Myrtle Beach oceanfront condos are the lowest they have been in years, opening up opportunities for potential buyers that never existed before. Even if you want to buy your condo for a permanant residence, the maket has produced some amazing opportunities for those looking for Myrtle Beach condos for sale. Yep, we can help you buy or sell your residential property as well! Our advanced search and marketing techniques help you get into (our out of) your new home quickly, while saving you money as well! We service all of the Grand Strand real estate market, so give us a call today to see what we can do for you! Fill out the form below and our team can contact you about sales opportunities.